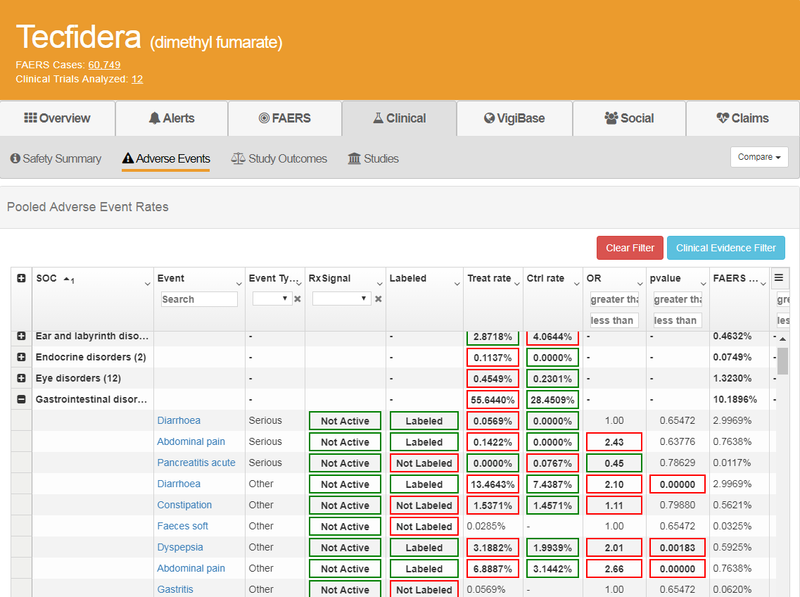 Advera Health’s Evidex® is a scalable, agile, and transparent way to access, analyze, and track drug safety issues. Cloud based, software-as-a-service drug safety data, analytics, and signal detection platform that provides powerful insights using Advera Health curated data, structured internal ICSR data, and alternative safety data sources such as claims, EHR and social media. Powered by the proprietary RxFilter® data optimization technology, Evidex supports a broad array of safety signal detection and risk mitigation use cases. Cloud based, software-as-a-service drug safety signal management platform that provides audit ready, GVP IX compliant signal tracking. Built with modern pharmacovigilance workflows in mind and fully integrated with all Evidex data and analytics, Evidex Signal Management is a next generation platform for managing signals from detection through resolution. 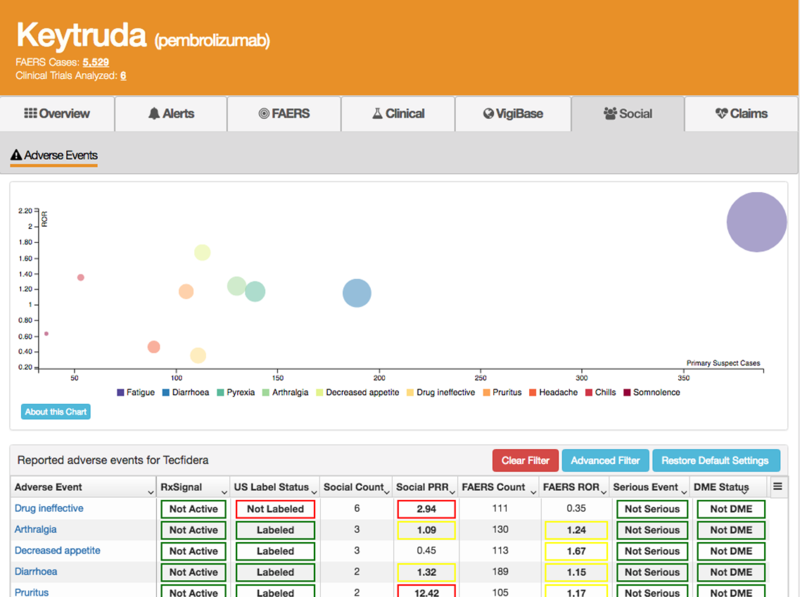 Annotated data from curated clinical trial results. The most comprehensive safety focused trials database featuring data from ClinicalTrials.gov, published research, abstracts, presentations, and more. FDA Adverse Reporting System (FAERS) and VigiBase. The industry’s new gold-standard for cleaned, de-duplicated, and dynamically linked FAERS and VigiBase data. 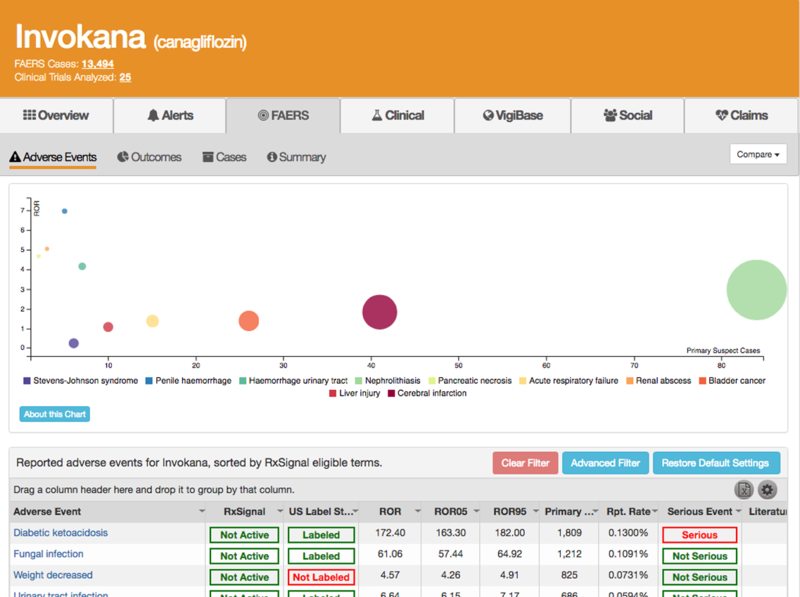 Social monitoring data from Booz Allen Hamilton’s Epidemico, client licensed claims or EHR data combines in Evidex for powerful signal detection and management.